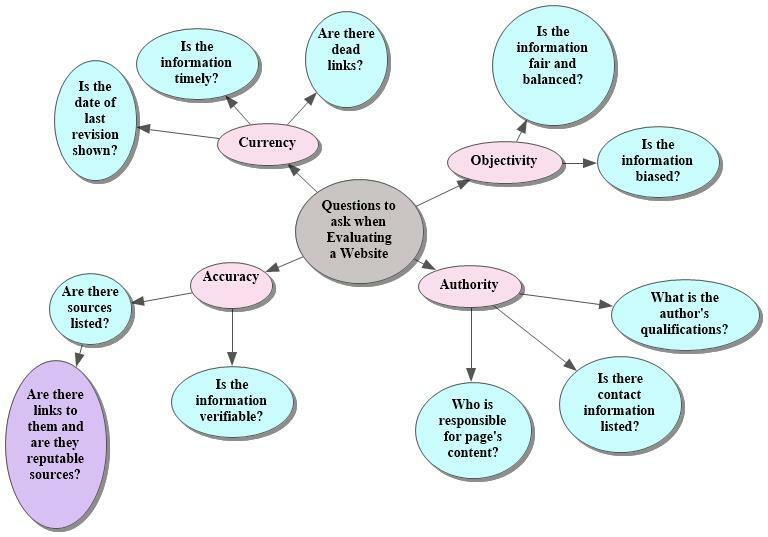 Taken from a video seen here on how to evaluate information found on the internet. The above graphic design was made using a program called Inspiration. You can download and use a free trial of this program, and it is great for use in educational settings. With all jokes aside, I do think the 4 key categories of judgement are useful in arguments. For example, I will see to this day many people use blatantly biased sites as their “proof” that their argument is valid. We see this a lot when it comes to controversial, emotion driven topics such as the abortion debate, or gay marriage. The other points are also very useful in discerning a website’s validity. Is it current? Information and science is continually changing, and a website from 2001 may contain obsolete information. Can the author of the website be clearly identified? What are his or her credentials and what authority does he/she have on the subject? What about sources? Are there any? Are they reputable? Are they clearly linked? A good argument will always have sources to back it up, and these sources will follow the same guidelines we use for judging the quality of a website.